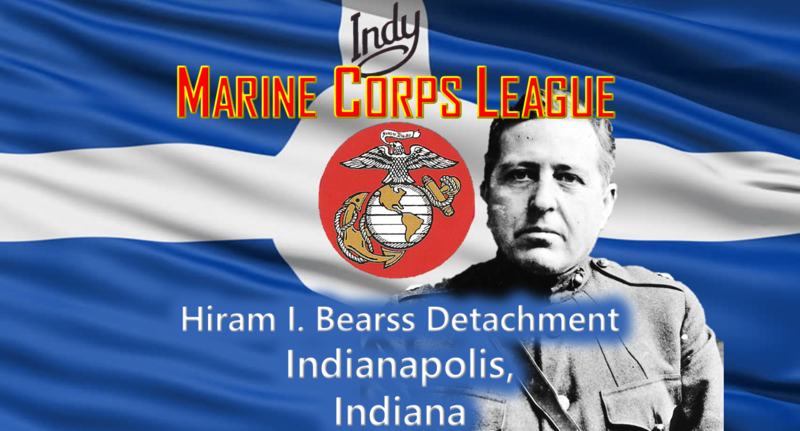 Marine Corps League #089 – Hiram I. Bearss Detachment Indianapolis, Indiana – Preserving the traditions and promoting the interests of the United States Marine Corps in Indianapolis. Preserving the traditions and promoting the interests of the United States Marine Corps in Indianapolis. Thanks to everyone who supported the detachment by buying a ticket or volunteering at the last show. Disclaimer: While the advice and content in this website are believed to be true and accurate at the date of placement, neither the webmaster, authors, editors, Dept. Of Indiana, Hiram I Bearss Detachment 089, or the Marine Corps League can accept any legal responsibility for any errors or omissions that may have been made, or opinions expressed. Neither HIB Detachment 089 nor the webmaster makes warranty, expressed or implied with respect to the material contained at this website. Neither the Marine Corps League nor HIB Detachment 089 recommends nor endorses any particular commercial establishment or product that may appear on this website. Editorial opinions posted on this website are the opinions of their author and not necessarily endorsed by HIB Detachment 089 or the Marine Corps League. And, finally, neither the United States Marine Corps nor any other component of the Dept. of Defense has approved, endorsed, authorized, or contributed to the content of this website. Copyright (c) 2005-2017 IndyMarines.org. All rights reserved.